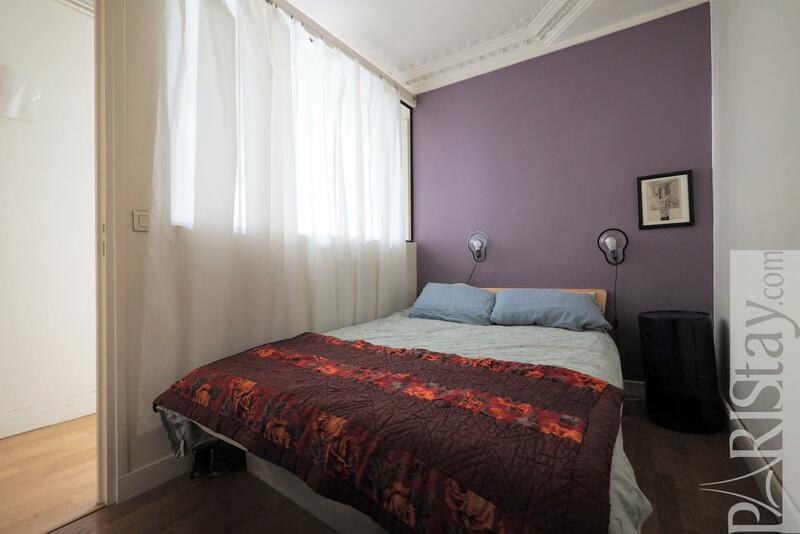 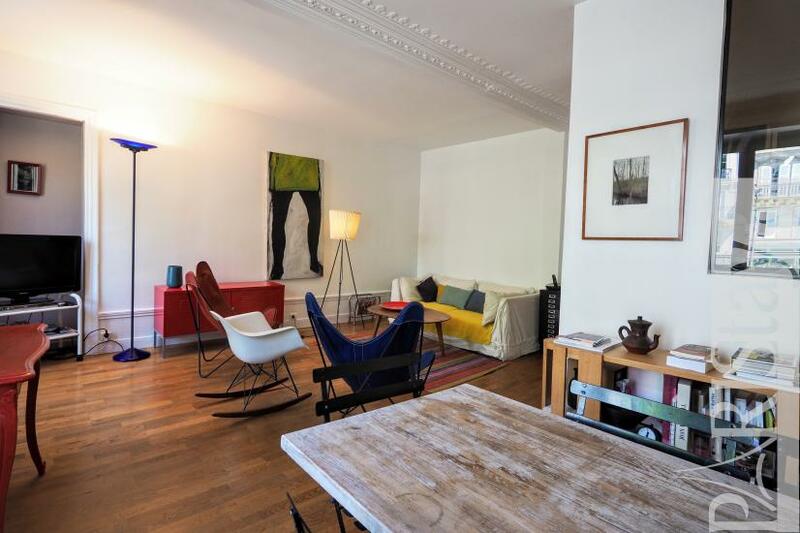 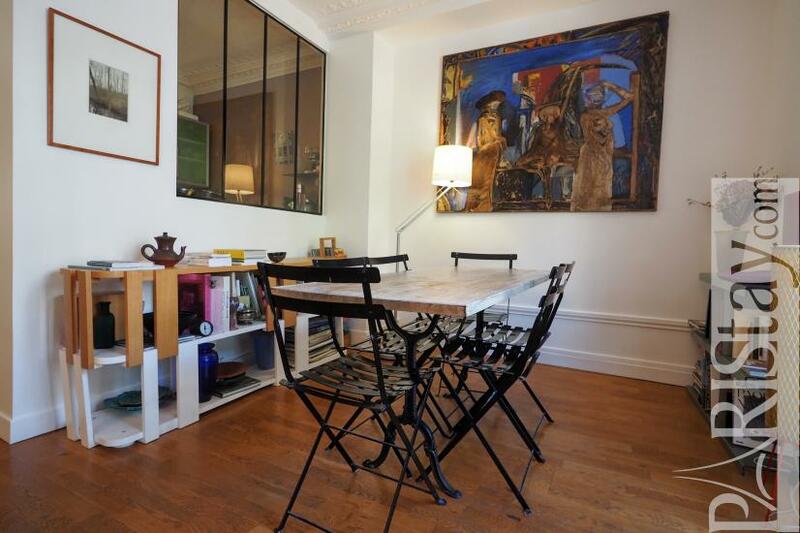 Enjoy Paris from this charming Paris one bedroom apartment rental situated in the fantastic Le Marais district, 2 steps from the famous Place des Vosges and next to Bastille. 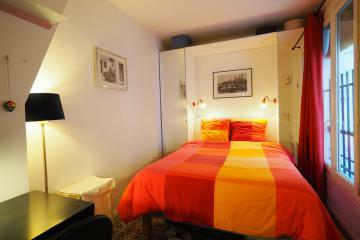 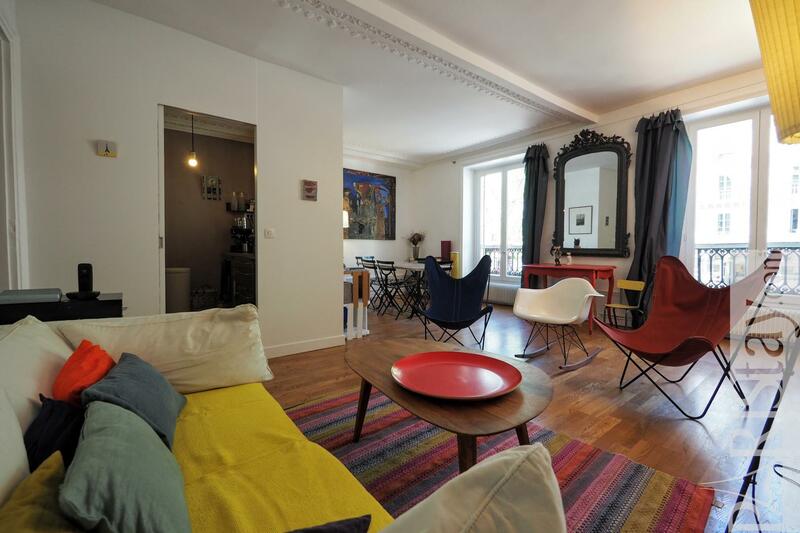 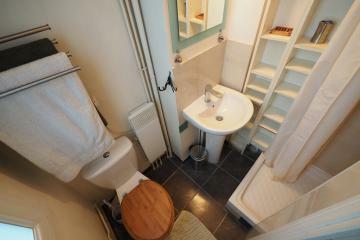 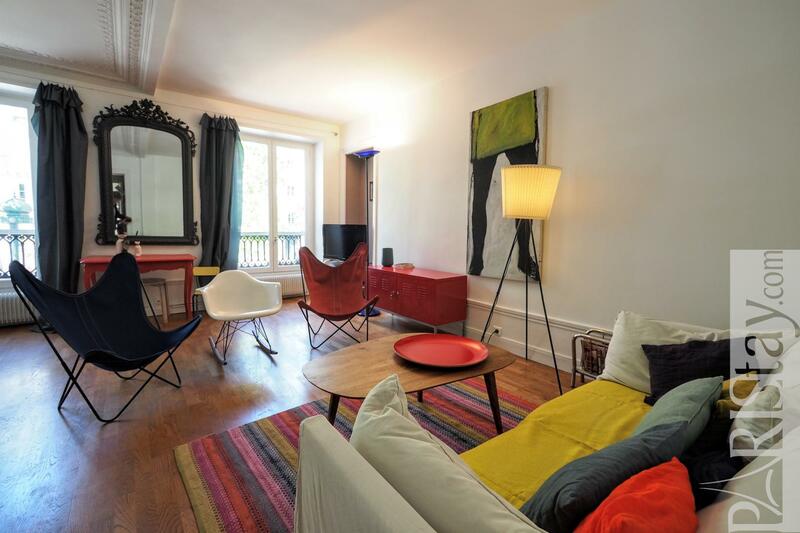 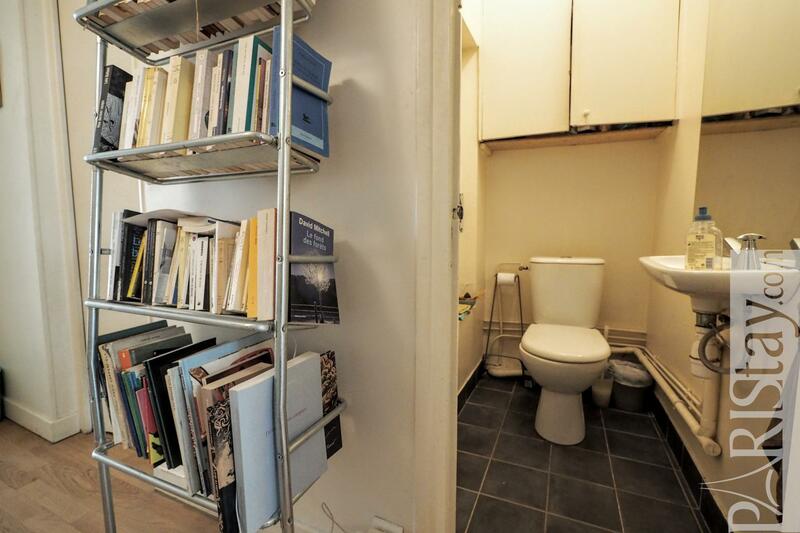 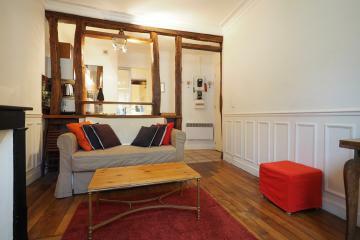 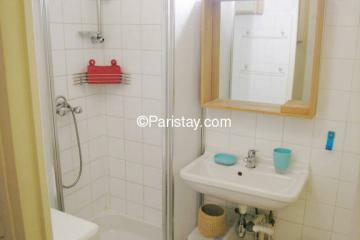 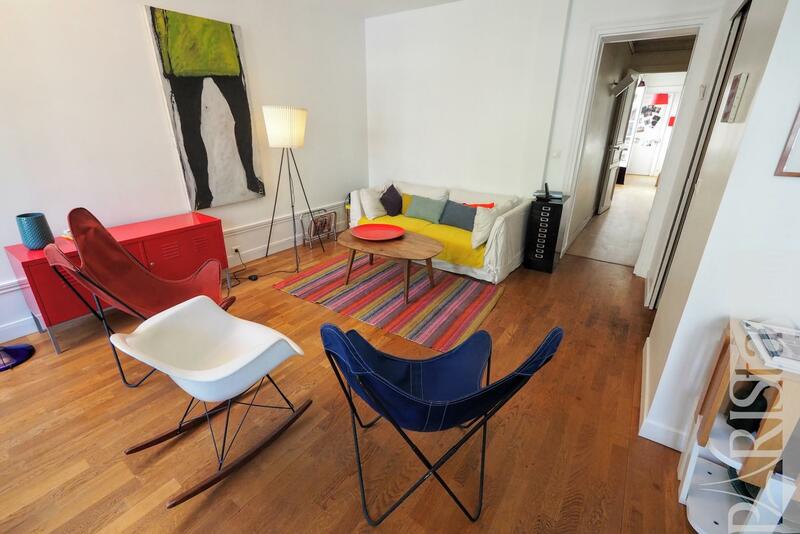 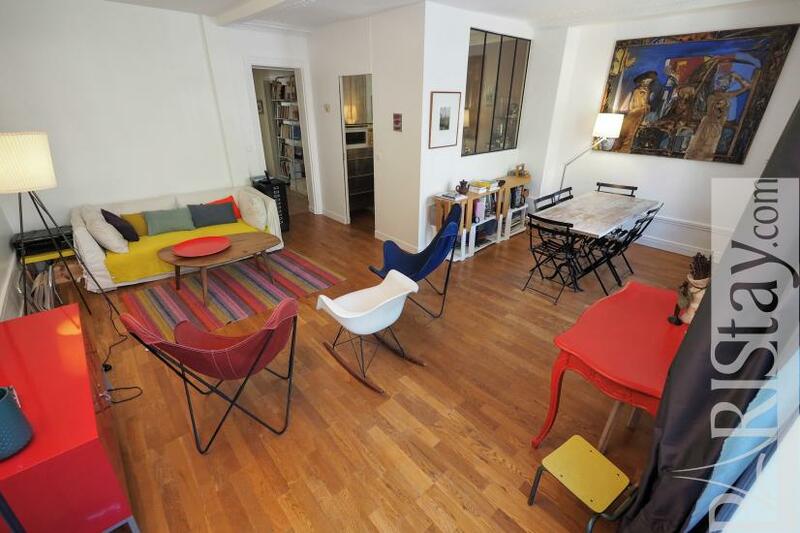 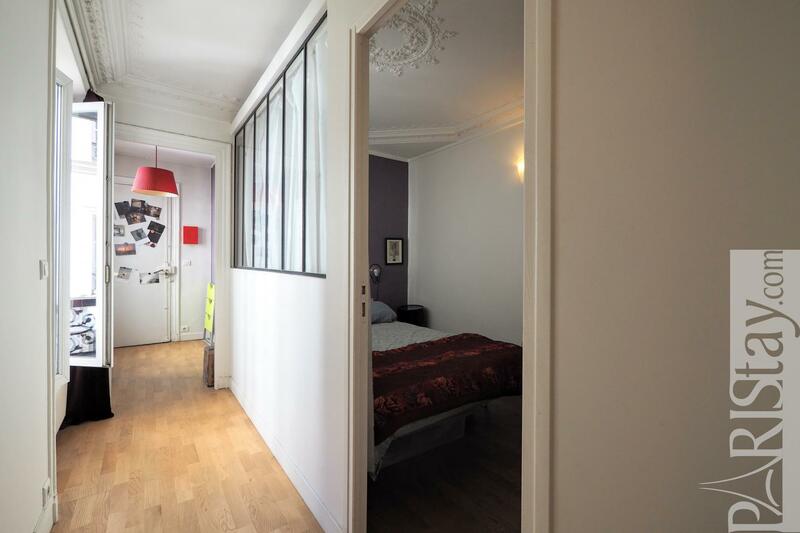 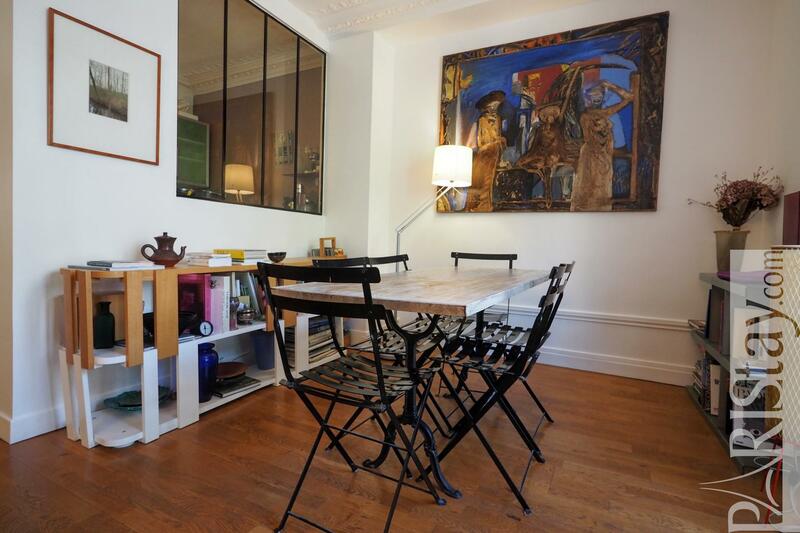 Perfect for your next short stay rental in Paris City of lights! This is a lovely and lively area where to enjoy all the facets of the diamond: history, museums, shopping, trendy bars and gourmet restaurants, supermarkets, open-air market 3 times a week, etc! 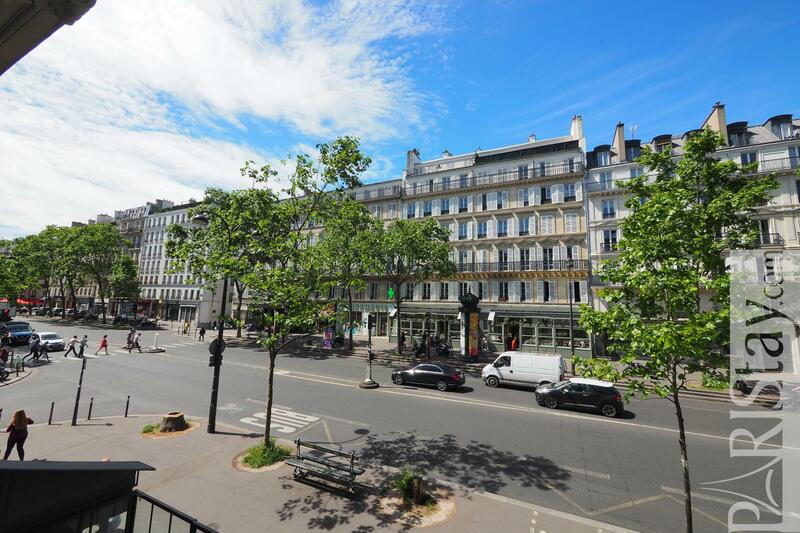 The apartment is situated the elegant Boulevard Beaumarchais, on the first floor (no lift). 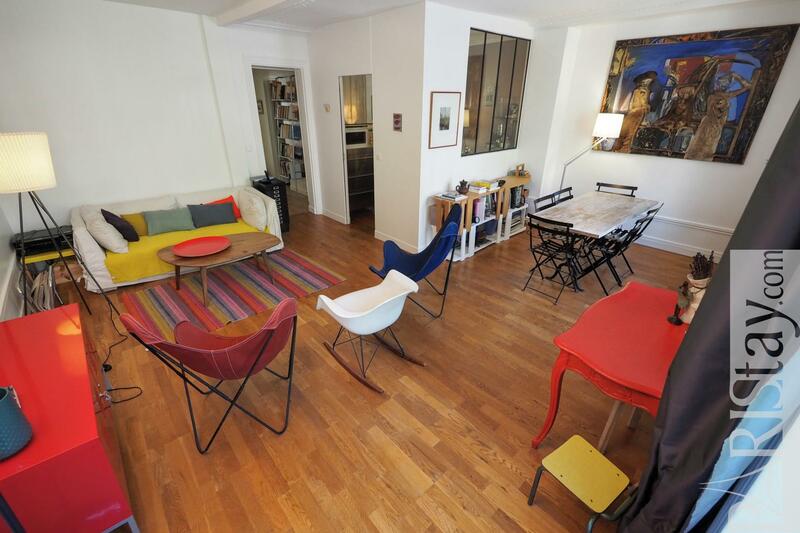 We love its spacious living room offering quality colored equipment where to relax. 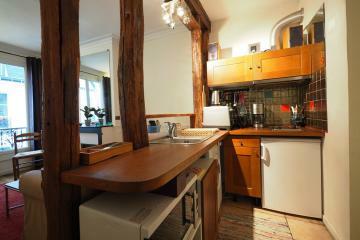 Comfortable sofa and chairs, flat screen TV, dining table that seats easily 4 people, and an open fully equipped kitchen. 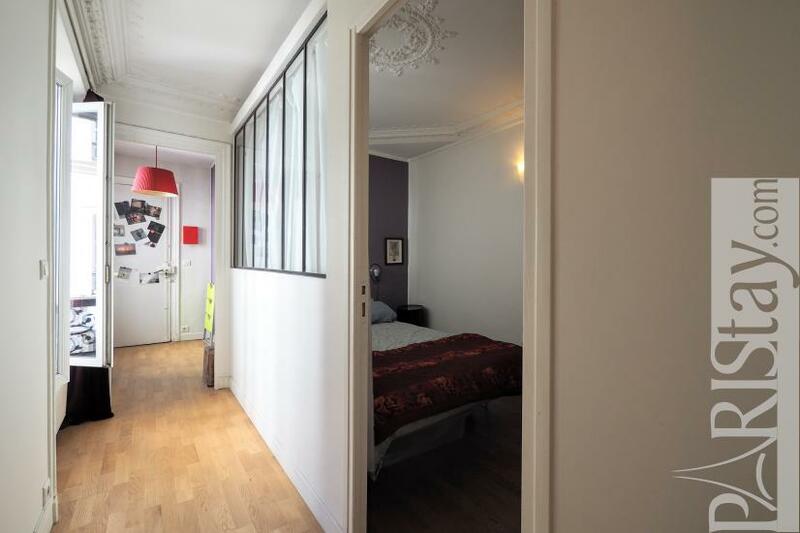 A bright corridor leads to the quiet bedroom equipped with a kig size bed, a bathroom (bath tub), a separate toilet and a laudry room. 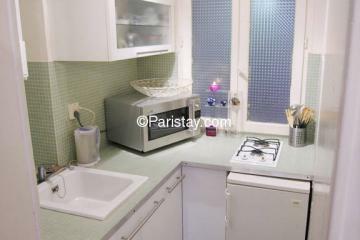 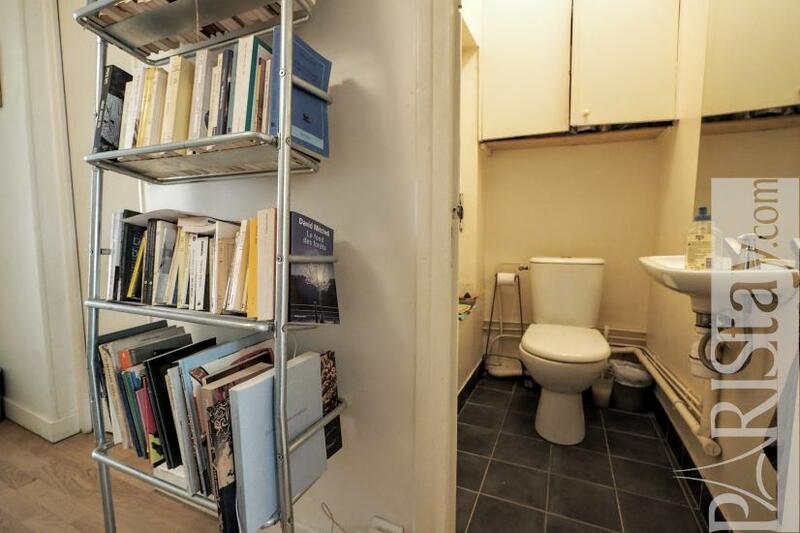 A perfect nest in the heart of Paris! 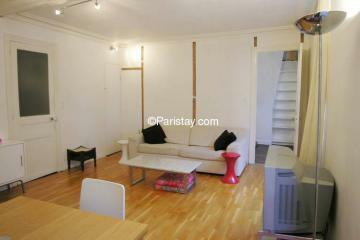 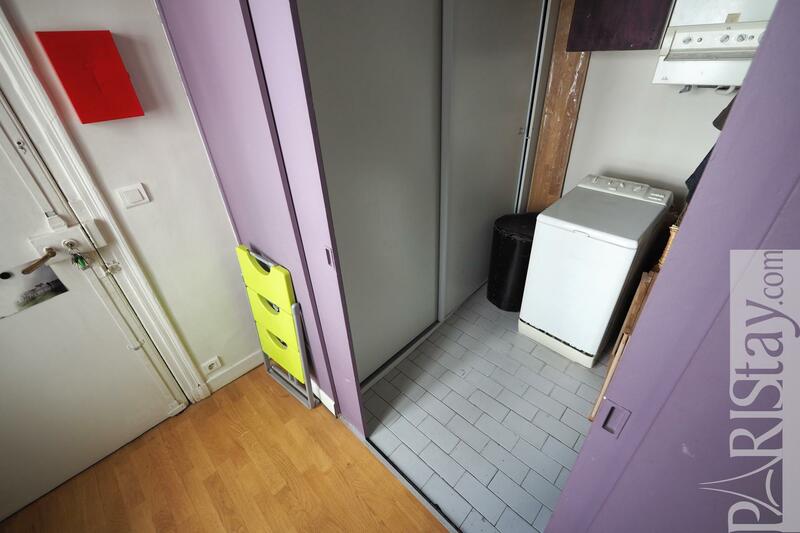 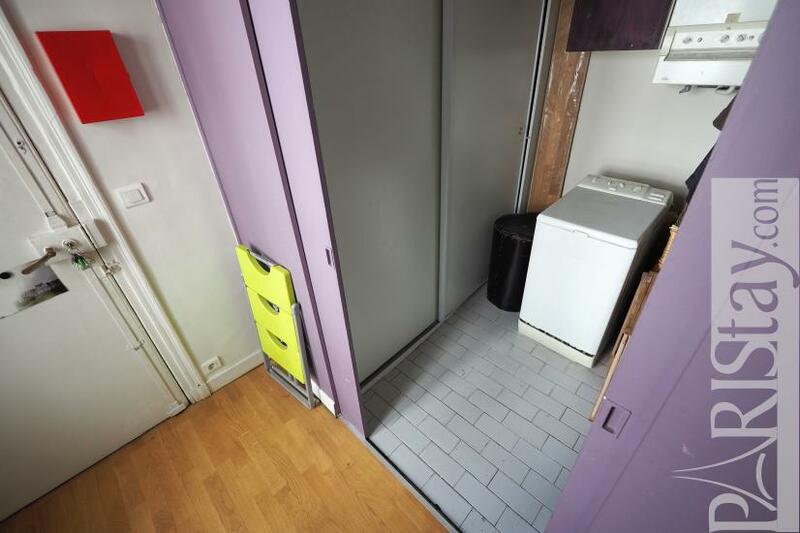 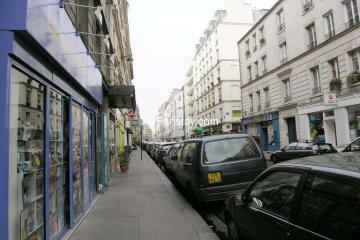 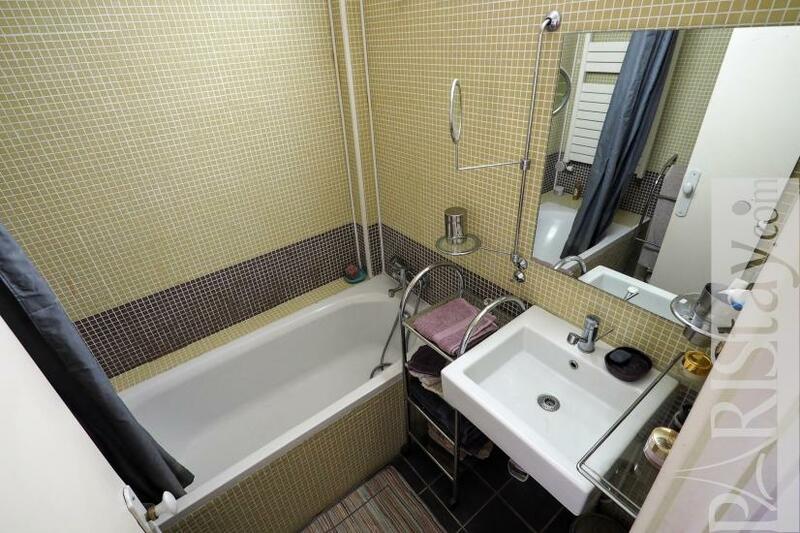 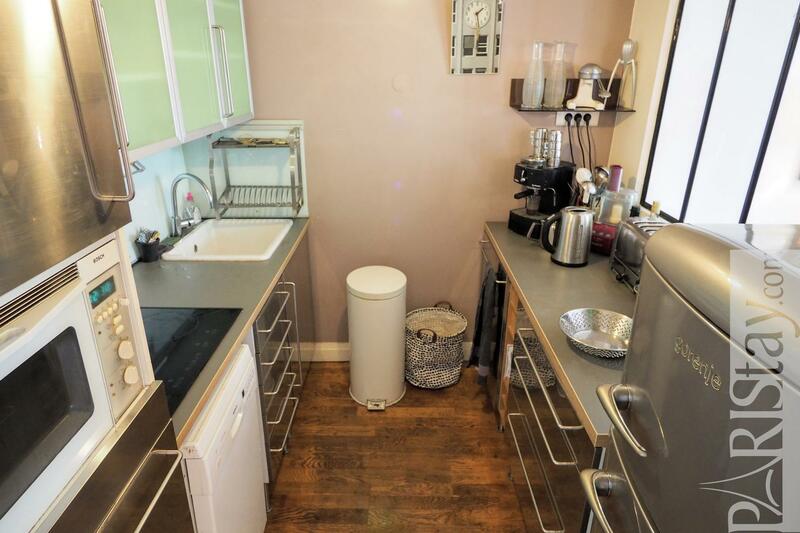 1 st floor, without Lift, 1 bedroom Appartement, furnished, Approx: 55m² / 591 Sq.Ft.